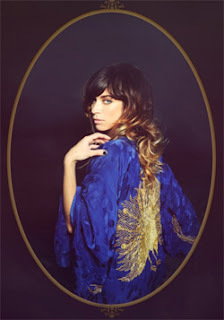 Taken from her second full length album ‘Mondo Amore’, New Jersey born Nicole Atkins has a new single out titled ‘You Come To Me’, which is available now through Proper Records. 'You Come to Me' is a traditional sounding melancholic tune with a backing track that ebbs and flows throughout. The bass sounds like it has been lifted straight from an Eagles record and that gives it an almost ‘country/rock’ feel that has a toe tapping rhythm to match the rough and self described ‘pop noir’ sound of Nicole’s voice. The lyrical content of the song is very broad and isn’t going to strike any genuine feeling from the listener. However having said that I really enjoyed listening to this track, even though at times it seems the arrangement of an infectious piano melody and guitar strum do carry the vocals. Overall it is the overriding combination of Nicole’s vocals and the backing track which really complement each other, and certainly does leave you wanting to hear more material.